The EUR/USD currency pair continues moving inside the ascending channel, the price has returned to the broken side of “triangle” pattern. There is a strong support level in the area of 1.2570, we should expect Euro to start growing up. 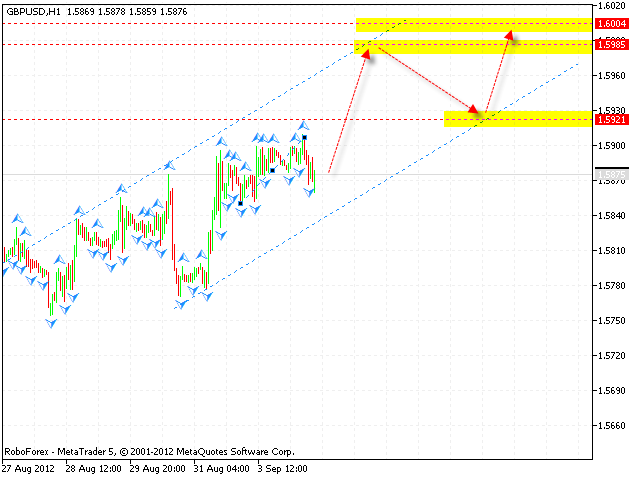 The target of the ascending movement is the area of 1.2705. If the price falls down lower than 1.2540, this scenario will be cancelled. 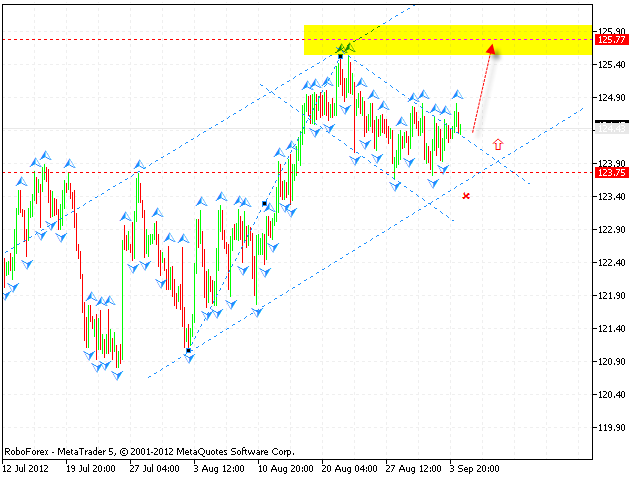 The GBP/USD currency pair is moving inside the ascending pattern, the target of the growth is the area of 1.6005. At the moment the price is expected to test the level of 1.5985, which may be a starting point of the correction towards the area of 1.5920. Pound may make a final ascending movement near the ascending channel’s lower border. The USD/CHF currency pair has returned to the descending channel’s upper border, the price is expected to start falling down from the current levels. 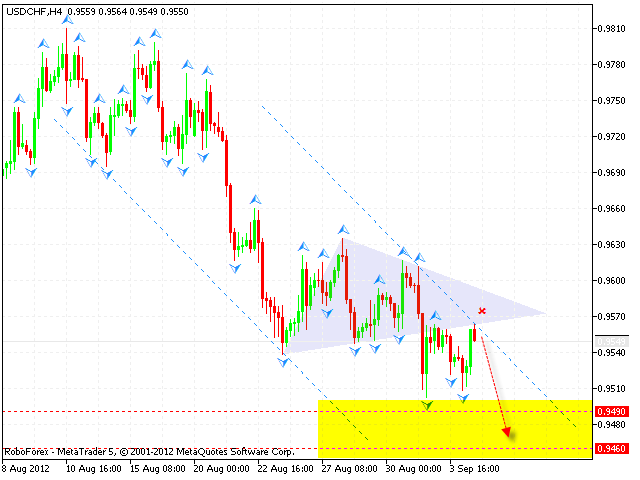 The target of the fall is the area of 0.9460. If the price grows up higher than 0.9580, this scenario will be cancelled. 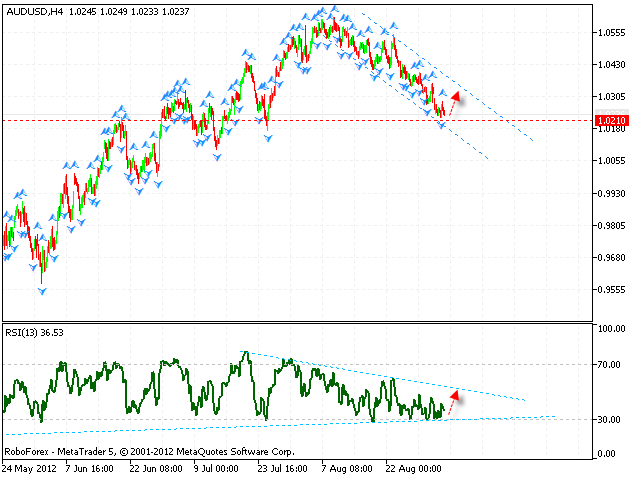 We recommend to increase the amount of short positions only after the price breaks the level of 0.9500. The GBP/JPY currency pair is moving according to the forecast. 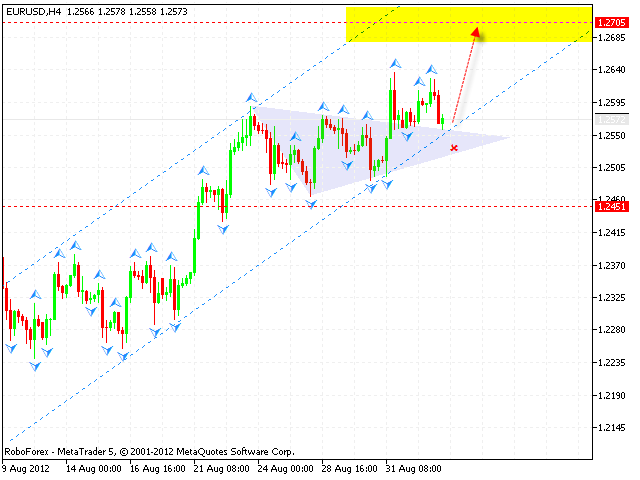 The price has left the descending channel and now is expected to start growing up towards the area of 125.77. If the price falls down lower than 123.60, this scenario will be cancelled. Australian Dollar continues falling down a little bit. The RSI indicator is still testing the ascending trendline, we should expect the pair to start growing up from the current levels. The closest target of the growth is the descending channel’s upper border. If the price falls down lower than 1.0200, this scenario will be cancelled.